Is it coincidence or God speaking through nature? Do you believe in coincidence? Does God speak to us through signs and symbols in nature? How does God speak to us? If God is speaking and we don’t listen, how does he get through to us? I don’t believe in coincidence and think that everything happens for a reason. Over and over our higher power, whom I choose to call God, is constantly trying to communicate through any method available. Is it a coincidence when animals appear? Native Americans believe that animal spirits or totems appear in our lives to give us messages, and in my opinion it is God trying to get through because we aren’t listening to his voice. I recently began trying to walk 10,000 steps a day to counteract the midlife bulge developing around my waist. This puts me out into nature a lot more since my home is tucked into the Central Florida Wetlands. Last week I nearly stepped on the tail of a huge rattle snake, it never saw me, but seeing the snake had me shaken!! The rattle was the first thing I saw, not a footstep away – eek!! Then two days later the sunlight was shining at just the right moment for me to see a beautiful spider web in the trees. I tried looking for the web again the next day, and could not find it. It seemed as though God was shining the light directly at the web at just the right moment for me to see it. Were these two random sightings connected? Was it odd that after seeing the scary rattle snake I was allowed to see the delicate web? You might be laughing right now, but I began to think this was no coincidence and that this might have meaning. So I decided to look up the snake and spider and see what their appearance might mean and how it relates to my life. Snake key meanings are transmutation, change and to be reminded to stay connected to the self and my surroundings to continue on the path of growth. Spider and it’s web is bringing attention to my creativity and asking if I am ignoring my ideas and dreams. Go figure! My inner spirit has been nagging at me to get back to making rosaries, prayer beads, meaningful jewelry and to practice wire wrapping and wire weaving. I have not been making time for that, and have just pushed those thoughts and ideas aside. Was God speaking and I wasn’t listening? Did he use the symbols of his creation to tell me in another way? I believe it’s true: when I ignore my inner Good Orderly Direction (GOD), nature takes over to tell me again! What are your thoughts on how God speaks to you? Have you had any strange encounters in nature like that? How did you use that experience? Posted on August 15, 2016 February 7, 2018 Categories Inspiration, Life, ReligiousTags animal spirits, animal totems, Central Florida, Coincidence, Florida, God speaking, Snake, spiderLeave a comment on Is it coincidence or God speaking through nature? 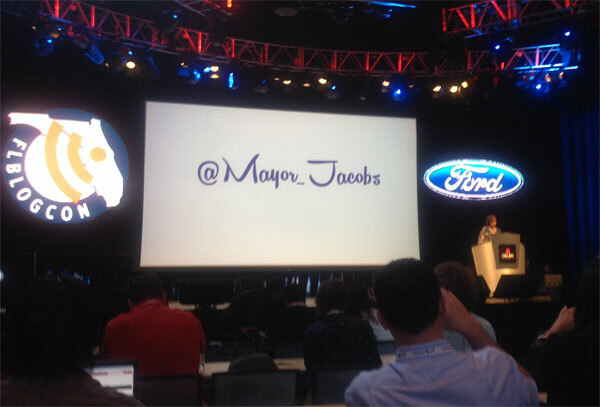 This past weekend I attended FLBlogCon 2014 the Florida Blogging Conference for bloggers throughout the state to learn more about blogging and social media. I discovered FLBlogCon early in 2014 and signed up so that I could learn more about writing a blog. I have been blogging for several years but never really considered myself a blogger until I realized that my blog content worked in conjunction with my website, and in some cases totally separate. If you have started a blog or are thinking about it, I highly recommend this conference for Floridians! The day was extremely interesting and filled with knowledge of all kinds, held at Full Sail University in Winter Park, Florida. The Orange County Mayor Teresa Jacobs stopped by to give us all a big welcome and then the conference began with a motivating opening keynote speech by Ted Murphy, CEO of Izea. I took three pages of notes on different ideas to grow my blog, ways to integrate my blog content with sponsors, I made some great connections and new friends. I was really surprised at the number of sponsors and the huge amount of support for the blogging community. Barnies Coffee Kitchen supplied the much-needed caffeine to start the day, and an awesome lunch was provided by Tijuana Flats! A big thanks to them for providing food selections for us vegetarians! I was really delighted to learn that my recent blog post about holding an online food drive to help fight hunger: Hungry for Beads or Hungry for Food? 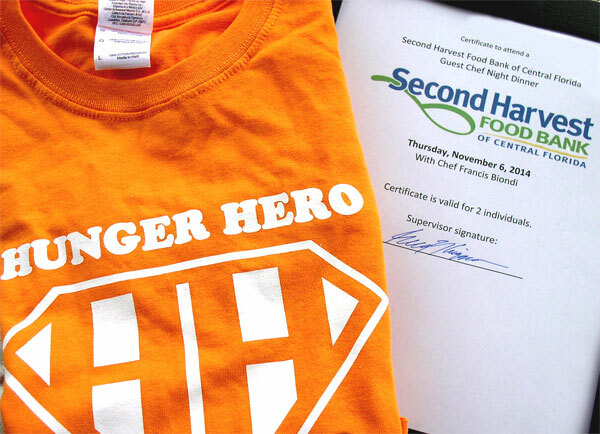 was selected as the winner of a really cool Hunger Hero T-shirt and dinner for two by the Second Harvest Food Bank of Central Florida!! 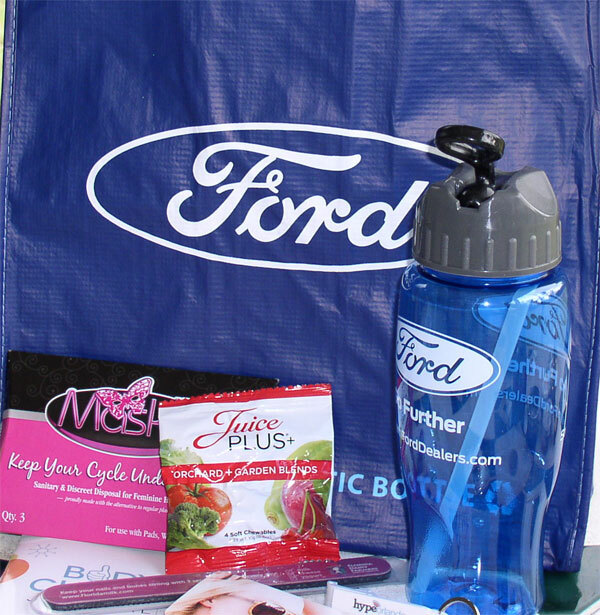 Everyone walked away with lots of information and a big blue SWAG bag filled with goodies from Southern Ford Dealers, Brighthouse, Juice Plus+, Florida Dairy Farmers Association, MuskIt, Body Check Journal, and lots more! Do you write a blog? For entrepreneurs, have you considered how valuable an online blog might be to your small business? We bead jewelry artists may be hungry for more beads and jewelry findings, but many people are just hungry for food! We joke about never having enough beads, but can you imagine not having enough food to eat like fruits, vegetables, milk or eggs? The face of hunger is unsuspecting and could look just like you or your neighbor. Right here in Central Florida there is an astonishing number of children, adults and elderly people who suffer from hunger due to a job loss, being homeless or on a low fixed-income. So many people are one paycheck away from any number of disasters that would cause them to not be able to feed themselves or their children. I know you have seen food drives run by grocery stores, the local post office or the boy scouts but did you know that you can set up and run a Virtual Food Drive online? The Second Harvest Food Bank of Central Florida has created this online tool that anyone can use to run a food drive to support those in need of a good meal. Illustrated examples in the grocery cart show just how far a few dollars can go when donating through Second Harvest. Organizing a successful Food Drive takes a lot of planning, volunteer work, and storage room to collect and disburse in the community. Many people would like to help but either don’t know how or do not have the time or manpower to run a food drive effectively. This really cool virtual tool at the Second Harvest Food Bank Website is easy to set up and manage and has the potential for greater participation through the wide reach of the Internet. Virtual Food Drives can be promoted on websites, blogs, email newsletters and different social media sites to generate interest and excitement about helping the community. Go to the Second Harvest Website today to learn more about starting an online Food Drive or donate to an existing drive to help fight hunger. Second Harvest Food Bank of Central Florida is a private, nonprofit organization that collects, stores and distributes donated food to more than 550 local non-profit feeding partners in six Central Florida counties: Brevard, Lake, Orange, Osceola, Seminole and Volusia.